The terms of selling through Amazon's newly launched Android app store are so unusual - if not unfair to games makers - that the International Game Developers Association has circulated a letter cautioning its members to read any agreement with Amazon closely, and to understand what prerogatives they may be giving up in the sale of their own software. Broadly speaking, Amazon is requiring developers agree to give up near total control over the pricing of their applications, and decisions such as when they go on sale, for how much, and whether the applications may be offered at lower prices through other retailers. Most concerning to the IGDA was Amazon's reservation of the right to pay a developer either 70 percent of an app's purchase price or 20 percent of its list price, whichever is greater. "We are not aware of any other retailer having a formal policy of paying a supplier just 20 percent of the supplier's minimum list price without the supplier's permission." The IGDA tossed out a variety of scenarios in which Amazon's demands are unreasonable and benefit Amazon first, if not solely. • Amazon discounts a large chunk of its catalog, harming the less-popular or profitable apps within the catalog while reaping all of the customer goodwill created by such a sale. • A list price guarantee - that the price of an app on Amazon matches the lowest on any other market - forces developers to either "abandon Amazon's market or agree never to give another distributor an exclusive promotional window." • Amazon unilaterally discounts - or makes free - a game with "a well-connected niche audience," or discounts it at a time when it's selling very well, in both cases robbing the developer of revenue he'd make from selling the app through other sources. • Future digital markets may copy the Amazon model, collectively harming the interests of independent games developers. The IGDA, while acknowledging it has no place in telling other private enterprises how to do its business, expressed "the firm opinion that" developers "should have the freedom to set a minimum list price of whatever amount they see fit, without regard to pricing in other app stores." Amazon also should ask for a developer's permission if it seeks to "pay less than the standard percentage of a developer's minimum list price." What does this mean to you, the gamer? At present, very little. 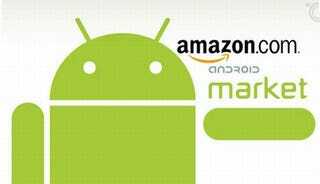 Amazon's Android store is not, say, the iTunes of its platform, though the IGDA cautions that just because the outlet is small now, that doesn't mean "it will not become the Walmart of the Android ecosystem tomorrow." Certainly, Walmart and many other retailers sell a lot of stuff cheaply and conveniently and many consumers take advantage of the low price, neither knowing nor perhaps caring if that unfairly exploits those who created what they use. But as many readers here have expressed deep respect for independent games development and concepts of fair play in the industry, knowing Amazon's policies, if they go unamended, may help them decide how to support those who make gaming applications they value.